A Palestinian teenager was killed by Israeli forces, on Friday, in the occupied West Bank city of Ramallah. 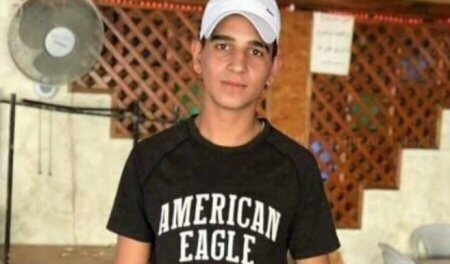 The Palestinian Ministry of Health identified the teen as 17-year-old Mahmoud Nakhleh, who was shot in the abdomen with live bullets during a protest, in the al-Jalazoun refugee camp. Several people were also injured in confrontations which erupted between Palestinians and invading Israeli forces, during protests in Ramallah, against the Israeli settlement construction and the seizure of their lands. According to a local Palestinian news agency, Israeli soldiers shot Nakhleh from a distance of fewer than 10 meters. The soldiers tried to detain Nakhleh afterwards, local news reported, but Palestinian paramedics were able to transport him to the hospital, after a standoff that lasted more than 30 minutes. After Nakhleh was transferred to a hospital, he was pronounced dead. Ramallah was under a complete lockdown by the Israeli army on Thursday, following a shooting attack by an unidentified Palestinian who killed two Israeli soldiers near the illegal settlement of Ofra, PNN further reported. Most of the entry checkpoints were reopened on Friday, but Israeli forces remained heavily deployed on the outskirts of Ramallah, and carried out sporadic raids into the twin city of al-Bireh, resulting in Palestinians protesting against their presence. According to the Palestinian Prisoners’ Society, at least 100 Palestinians were abducted over the past 24 hours. Four Palestinians were killed by Israeli forces in separate attacks over the past two days. Other protests took place in the Taqu’a village east of Bethlehem and in Hebron’s Old City, where dozens suffered from tear gas inhalation and sustained wounds from rubber-coated bullets. In Gaza, 85 Palestinians were injured during anti-occupation protests along the border between the Gaza Strip and the Israeli-occupied territories. According to the Gaza Health Ministry, Israeli forces injured 85 Palestinians, including seven medics and three journalists, in Gaza, on Friday. Tensions have been running high, near the fence which separates Gaza from the occupied territories, since March 30, which marked the start of a series of protests called “The Great March of Return”. Palestinian protesters are demanding the right to return for those driven out of their homeland.